Tiran Porter is an American bass and guitar player, vocalist and composer. Born September 26, 1948, he graduated from Leuzinger High School in Hawthorne, CA in 1966. He rose to fame as a member of the Doobie Brothers, replacing bassist Dave Shogren on their second album Toulouse Street in 1972. His vocal talents were mostly restricted to the background in the studio, although he contributed "For Someone Special" (an affectionate tribute to ill bandleader Tom Johnston) to Takin' It To The Streets (1976) and the creatively syncopated "Need A Lady" to Livin' On The Fault Line (1977). In concert, Porter usually performed lead vocals on one or two songs. During the 1989 tour, he sang "Road Angel" while original vocalist Johnston rested his vocal chords. 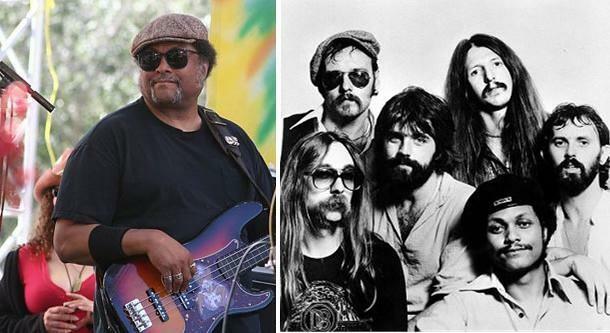 Indisputably, Tiran Porter's most notable contributions to the Doobie Brothers' sound were his busy and punchy bass lines; his distinctive tone permeates all of the band's classic compositions and hits. Often pictured with his trusty Alembic or Gibson basses during the seventies (usually with a Thunderbird or Ripper bass and earlier with an EB-O Long Scale), Porter has also played Fender instruments, most notably the Jazz bass model, along with BC Rich Eagles. His early technique, with rich chordal attack, was based mostly on his picking style, favouring the guitar pick over fingerstyle playing. The hit title track from Takin' It To The Streets, which prominently features Porter's thundering, picked notes, is a prime example of this technique. More recently, even performing the old repertoire with the Doobies, Porter has been playing new, custom-made instruments almost exclusively fingerstyle. Porter left the Doobies in 1980, citing frustration with the hectic and constant touring schedule. After guesting onstage with his former bandmates briefly during the 1982 farewell tour, he rejoined the Doobies in 1987. Porter played on Cycles (1989), whose title was taken from an unused song he wrote, and Brotherhood (1991). Neither album featured a Porter composition or lead vocal, and his bass is often buried in the mix. After five years of touring in support of Cycles and Brotherhood, Porter finally quit the Doobies for good in 1992. He was reportedly still frustrated with constant touring and the band's preference for recording familiar sounding material instead of his own, more diverse compositions. Porter released a self-produced solo album, Playing To An Empty House, in 1995. It is an interesting mix of rock, progressive and jazz, featuring Porter on all of the instruments and vocals. The album features surprising jazz solos sculpted on exotic chord progressions. (It features little or no bass guitar, focusing instead on lead guitar and sequenced keyboards.) Currently, Porter plays bass in the California-based Beatles tribute band White Album Ensemble as well as Stormin' Norman and The Cyclones. He has also toured with Moby Grape during its occasional partial reunions.